The Morningside Volunteer Fire Department offers a variety of benefits for our passionate volunteers. All training is provided free to Morningside volunteers, including state-provided fire, rescue and EMS courses such as Firefighter I & II, Fire Officer, Rescue Technician and more. Plus, we regularly sponsor hosted specialized operational and leadership training and send members to regional and national training events and conferences — all in addition to regularly hosted drills and station training. The MVFD is one of the busiest all volunteer fire departments in the nation, offering a diverse set of fire, rescue and emergency medical responses. Are you an experienced Firefighter/EMT? Get an incredible depth of experience by joining our live-in program — including private bunk rooms. • Learn more about the MVFD live-in program here. Several tuition reimbursement programs are offered to members of the department. They include the Charles W. Riley Fire & Emergency Medical Services Tuition Reimbursement Program and the Katha T. Parrish Memorial Scholarship Fund of the PGCVF&RA Ladies Auxiliary. More information on these programs, which cover a wide variety of higher education costs, can be provided upon request. Active members who are Maryland residents with at least three years of service are eligible for a $4,000 tax credit. Members with 25 years of service are afforded a generous annual retirement program with benefits paid monthly. Regardless if you have no public safety experience or if you are a veteran looking for a new challenge, there is room for you here at Morningside. Are you an experienced Firefighter/EMT or EMT? The MVFD is an award-winning, fast paced, urban department that responds to tons of working incidents, and offers the experience of a lifetime in no time. 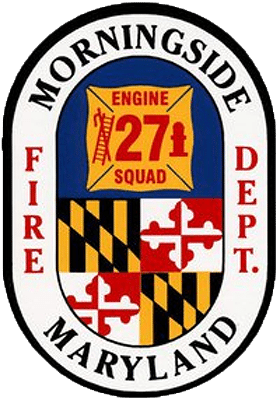 The Morningside VFD offers a variety of volunteer opportunities in firefighting, rescue, EMS, administration and support. Check out the most recent incident, recruitment & event videos showcasing Morningside pride.